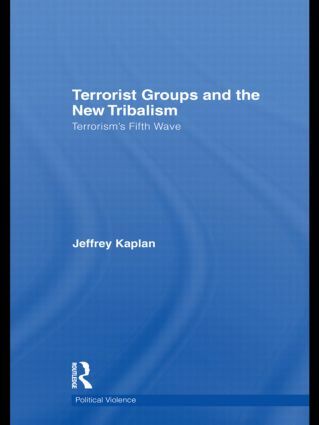 The central focus of this book is a small but vitally important group of movements that constitute a distinct 'fifth wave' of modern terrorism, here called the "New Tribalism". Terrorist Groups and the New Tribalism examines a collection of terrorist or insurgent movements whose similarity in tactics, strategic vision and desire to radically reshape their worlds to conform with a ‘Golden Age’ dream of perfection which is to be achieved through a genocidal or ethnic cleansing process to make way for the emergence of a new, radically perfected tribal utopia in a single generation. These shared strategic and tactical factors allow them to be examined through a comparative lens as a distinct ‘fifth wave’ of modern terrorism. Structured around the theoretical framework of David Rapoport’s Four Waves thesis, the book examines anomalous movements that began within a distinct wave of international terrorism, but, following a crisis model, has turned inwards toward radical localism, tribalism and xenophobia. The text is divided between theory and in depth case studies of the Ugandan Lord’s Resistance Army and the Sudanese Janjaweed. It concludes with a design for further, field-work based research. This book will be of interest to students of Terrorism and Political Violence, Genocide, Conflict Studies, African politics and Political Science in general. Jeffrey Kaplan is an Associate Professor of Religion and the Director of the Institute for the Study of Religion, Violence and Memory at the University of Wisconsin Oshkosh. He is the author of 11 books on terrorism and political violence. Introduction Part 1: Theory 1. Terrorism and Religious Violence 2. Rapoport’s Four Waves Theory Revisited 3. The Fifth Wave Part 2: Praxis 4. The Lord’s Resistance Army 5. The Janjaweed in the Sudan 6. Conclusion—The Fifth Wave? Jeffrey Kaplan is an Associate Professor of Religion and the Director of the Institute for the Study of Religion, Violence and Memory at the University of Wisconsin Oshkosh. He is the author of eleven books on terrorism and political violence.